Parabola Films is going to be present at three international public pitching forums with three brand new projects in Spring 2016: At the One World Film Festival in Prague, Czech Republic with a film by Iva Radivojevic, at Pitching du Réel during Visions du Réel in Nyon, Switzerland with a film by Samara Chadwick, and at the Hot Docs Forum in Toronto, Canada with a film by Lindsey Dryden. These exciting new projects are all innovative, creative treatments of some fascinating subjects by powerhouse filmmakers we’re thrilled to be working with. 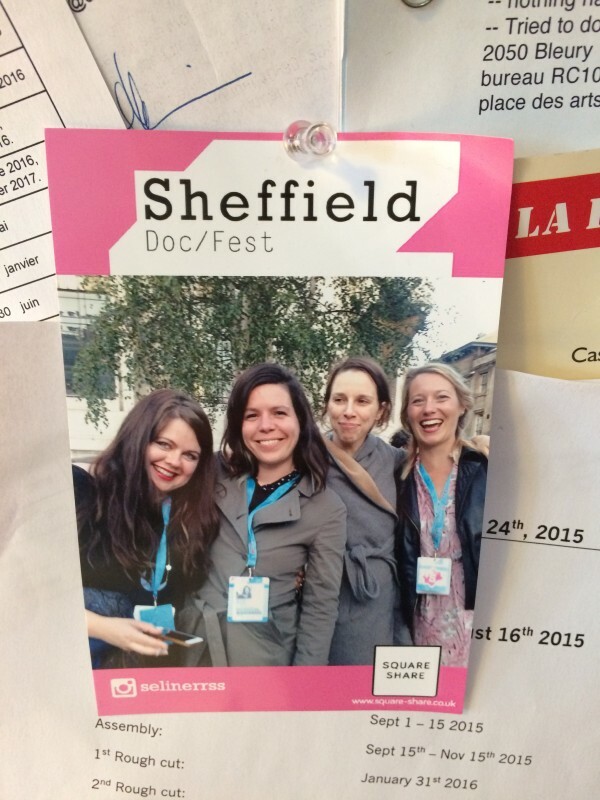 Here’s a #TBT pic from Sheffield Doc/Fest last year… peeking out from the corner is the post production schedule of our documentary being edited as we speak, coming at you in Fall 2016!